How did you enter into that screen? Anybody else could explain this, please? I don't know how I got to that screen. That's why I was asking. Yes. Go to settings> one handed operation and you will see an explanation of it and how to enable. How to do it in s4?? I believe this feature is only available for the S5. Ooh! Yes. I got it now. And didn't know about it before. something must have just gotten discombobulated! 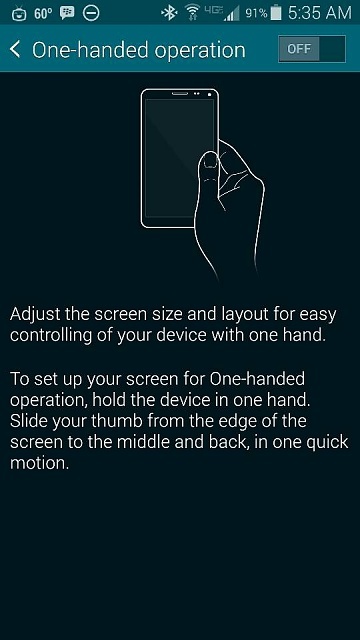 It is easy to enable/disable "one hand screen". 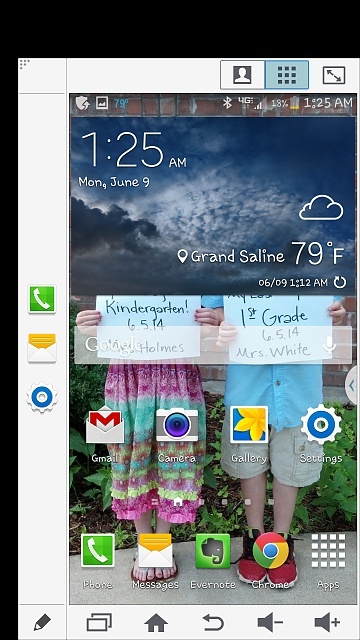 Quickly swipe from the middle of the right edge of the phone to the center of screen and back. Use one finger and do it quick. Works on some apps if open. Should work no problem on home screen. Quick is key here. How to Tell Which Minor OS Version?